Thornton Dial: Image of the Tiger was the first major solo museum exhibition of the 65-year-old African American painter. Organized by guest curator, Thomas McEvilley, this exhibition was presented at both The New Museum and the American Folk Art Museum. 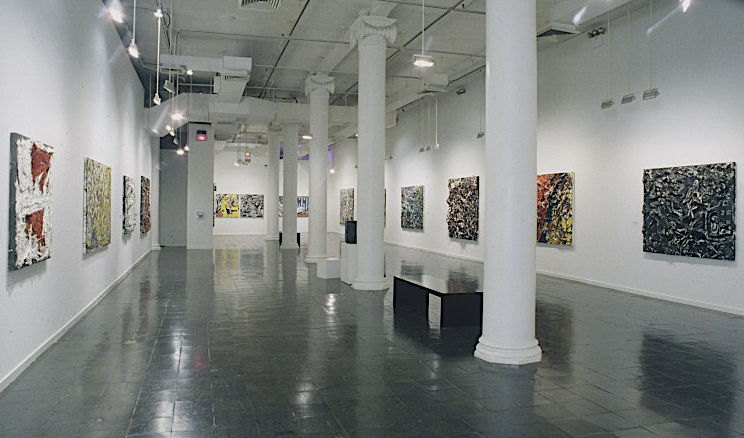 It included approximately twenty large paintings at each venue, along with works on paper from 1988-1993. The exhibition was not divided chronologically; both earlier and more recent painting were shown at both institutions. Instead, the Museum of American Folk Art presented works with prominent narrative elements ranging from Dial ‘s personal mythology to historical paintings which address the “Black Odyssey”—the path from Africa to slavery to the Civil Rights Movement and beyond. The works presented at The New Museum were less narrative, addressing more formal and aesthetic concerns.